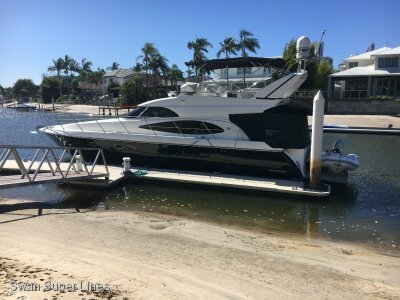 This 42 Targa offers a voluminous interior with twin private cabins, Central Dining area, L shaped galley huge entertainment deck with L and U shaped seating. The Hydraulic TENDER platform caters for water sports, easy- safe boarding and departing. Bavaria has designed two very large en-suite cabins - a forward double master cabin & a twin bed aft cabin. This enables two couples to have complete privacy and space. Each en-suite comes with a holding tank, WC, shower and all amenities. Both cabins also come with all the storage space you could need for long distance cruising and a large settee/changing area. The side decks offer easy access to the forward deck with a handle on the radar arch. 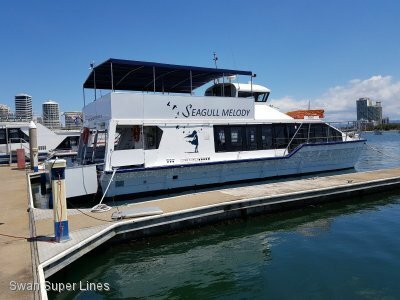 The aft seating will comfortably seat 7 to 8 adults, while the C shape seating on the port side next to the skipper's seat can seat 3 people. At the helm is superb viewing with excellent spacing for the large Raymarine E90 display unit, an adjustable steering wheel allows for steering whether standing or seated. 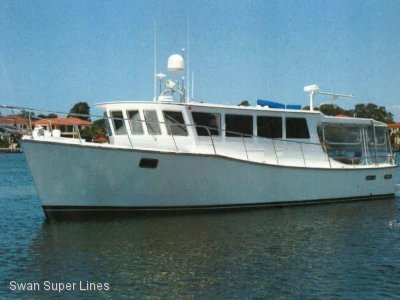 The galley has an electric double plate stove, Sharp microwave, a large fridge and a freezer box within the counter top. The seating area has its own wine cupboard, storage, and sound system, with seating for 6 to 8 people. The aft cabin has 2 separate large bunks. A full head, including a shower and electric toilet and flat screen TV. In the front cabin you'll find an island double bed with a small seater, a fully enclosed shower and electric toilet plus wall mounted TV. 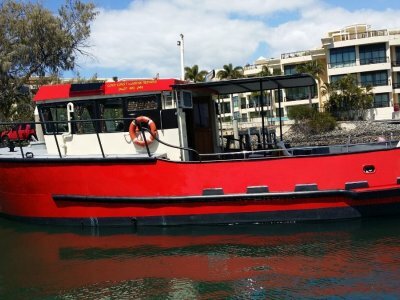 Features include, Genset, bow thruster, air conditioning, inverter and a tender. 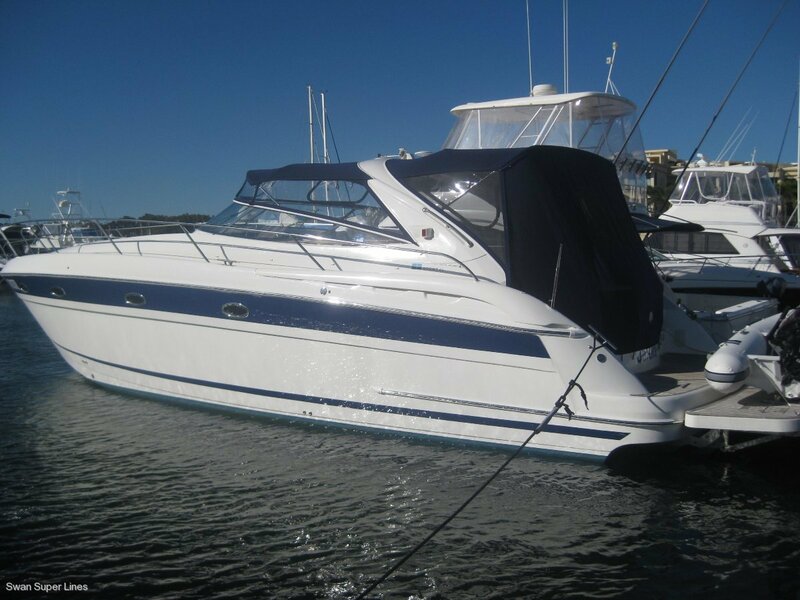 A full inventory available on request, inspection via appointment, vessel is berthed on The Gold Coast.